December 22, 2015 – Honeywell Purchases LXE | MIDCOM Data Technologies, Inc.
LXE is now part of Honeywell. Honeywell Sensing and Productivity Solutions over the past few years has continued to acquire several barcoding and data capture manufacturers in addition to LXE. 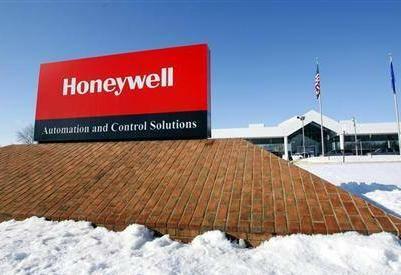 LXE was acquired with Honeywell’s purchase of EMS Technologies, as a part of their Global Resource Management (GRM) division. This acquisition has allowed Honeywell to further strengthen its market share in the automatic identification and data capture (AIDC) industry and provide leverage to further expand and develop all their product offerings world-wide. LXE specializes in rugged handheld, mobile, hands-free and vehicle mount computers and barcode scanners. They are designed for extreme durability in extreme environments and where long-term service, functionality and performance are required. Honeywell Sensing and Productivity Solutions offers custom-engineered sensors, switches and controls, and productivity solutions built around our high performance data collection hardware including rugged mobile computers, voice-enabled software, bar code scanners, radio frequency identification (RFID) and workflow printing solutions. Their core markets are aerospace, automotive, field service, healthcare/medical, retail, industrial manufacturing, and supply chain and logistics. For additional information on your Honeywell/LXE equipment, and for all your barcode scanning technology needs, call us as (800) 643-2664 and immediately talk to one of our friendly representatives; or chat us up on Facebook, Twitter, Google+ and LinkedIn!